Brussels, 19 March 2018. 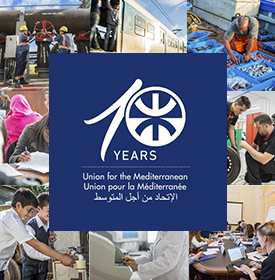 – The 43 member countries of the Union for the Mediterranean (UfM) convened today in Brussels at the 10th Trade Ministerial Conference, where they gave a new impulse to economic integration in the Euro-Mediterranean region. The Ministerial Conference was held under the UfM Co-Presidency of Cecilia Malmström, EU Commissioner for Trade, and Yarub Qudah, Jordanian Minister of Trade, Industry and Supply, in the presence of Jorge Borrego, UfM Acting Secretary General. The level of regional economic integration in the Euro-Mediterranean region remains amongst the lowest in the world. Eight years have passed since the last Trade Ministerial in 2010 and in the meantime the world and Euro-Mediterranean region has changed greatly. 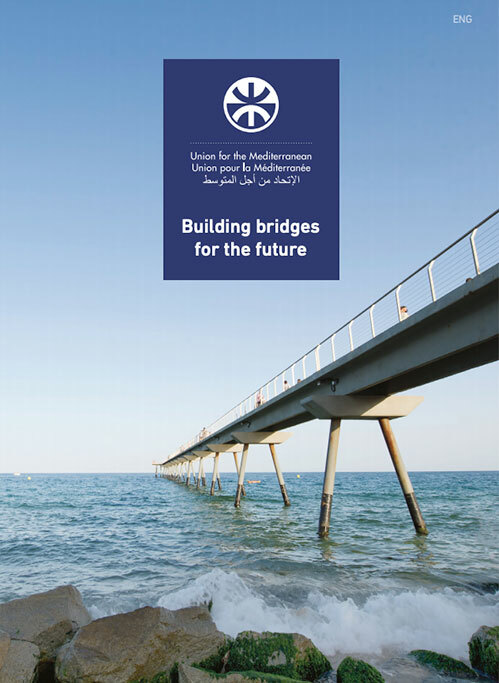 The potential for an increased integration is huge and would bring significant benefits for all UfM member states. The meeting addressed several trade-related priority areas and agreed on actions that will facilitate and promote trade and investment across the region. Ministers agreed on a set of modernised rules of origin for the region and to finalise on that basis the text of the revision of the Pan-Euromed Convention on Rules of Origin by end 2018. The new rules are simpler, easier to use and more adapted to regional value chains than under the current convention. They will make the life of economic operators, especially Small and Medium Enterprises easier and ensure value creation in the region. Two action plans, on the Fight against Piracy and Counterfeiting and on Sectoral Cooperation,- among others in the automotive, textiles and clothing, environmental goods and services as well as information and communication technology areas – were endorsed. They call for close work with the private sector to implement them. Ministers acknowledged the positive framework for the development of economic relations in the region provided by the Euro-Mediterranean Association Agreements and other free trade agreements, such as the Agadir Agreement. At the same time they recognized that there is still a great potential to be unlocked to reinforce and complete the Union for Mediterranean free trade area. They discussed initiatives, including setting up a regional Working Group on Sanitary and Phytosanitary cooperation or designing a Roadmap for approximation of technical requirements which facilitate mutual trade and investment flows. In addition, the Ministers endorsed the new Euromed Helpdesk, developed jointly by the European Commission and the International Trade Centre, which will provide up to date and free of charge information for businesses looking to export, helping to boost intra-Mediterranean trade. Jordanian Minister Qudah emphasized the “importance of holding this Ministerial meeting as a testament of the member states to continue working towards translating the shared goals and common interests into concrete actions to achieve economic growth and prosperity for the nations on both shores of the Mediterranean.” He stated that “Jordan under its co-presidency of the UfM continued to work diligently with the EU and the Southern Mediterranean countries to address existing and emerging challenges facing the region and facilitate the implementation of concrete projects to promote regional sustainable development. I reiterate Jordan’s readiness and commitment towards a comprehensive cooperation among our region complemented under the European Neighbourhood Partnership and of the Union for the Mediterranean framework“. The Acting UfM Secretary General, Jorge Borrego said: “An enhanced regional economic integration can only be achieved through higher levels of direct investments, facilitation of trade and wider market access. The conference is setting a stronger regional cooperation framework for tangible initiatives and projects that could yield a greater economic growth and job creation in the Euro-Mediterranean region”. Ministers welcomed the support provided by the UfM Secretariat in the development of specific initiatives to reinforce the regional economic cooperation within the UfM business community. They envisaged that the implementation of the results of this Ministerial Conference be followed-up in the next UfM Trade Senior Officials Meetings, as well as in various technical working groups, ahead of the 2019 UfM Trade Ministerial Meeting.